2K Games is getting ready to once again show off its much-anticipated shooter set in the XCOM universe, the company announced in a blog post today. “The XCOM universe is expanding,” 2K writes. “In the coming days the world will get a fresh look at the long-awaited squad-based tactical shooter in development at 2K Marin.” First announced in 2010 and last shown to the public at E3 2011, 2K writes in the post, titled “2K Marin’s [redacted] is coming soon,” that the game has “undergone an evolution” since then and that the success of last year’s XCOM: Enemy Unknown has brought the traditionally strategy-based franchise to new prominence, making now the right time to bring the game to light again. If you missed it – and it’s gone in a flash, so no one can blame you if you did – the phrases “APR26” and “2K” are displayed for a brief moment. April 26 is, of course, Friday, which may indicate when we can expect to hear more about the game. What do you think? 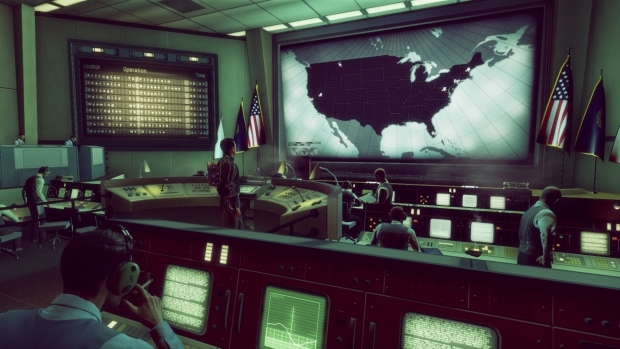 Are you excited by the prospect of a shooter set in the XCOM universe? Let us know in the comments.